The condo was redecorated with new paint, carpet, blinds, and kitchen cabinets and appliances in fall 2016. This 1600 square feet condo is on two levels with the master bedroom upstairs. Beds include one king-size, one queen-size, twin and bunk bed (double bottom/twin above), and a pull-out, queen-size sofa. Each bedroom has its own full bath. The living room features vaulted ceilings, a wood-burning fireplace, and beautiful views of Vail Mountain. Guests enjoy use of the three decks (one covered). The kitchen is very well-equipped for cooking. The unit is located in Sandstone directly across from Lionshead in Vail and 15 minutes from Beaver Creek Resort. One hundred yards from a FREE Town of Vail bus stop. Two parking spaces just outside. Check-out cleaning included in the price. Rented by the owner. Great value in both winter and summer! No smoking (even outside) or pets. My husband and I live and work in the Vail Valley. We love the proximity to Vail Mountain -- just a short shuttle ride away. The views are terrific and the location is quiet and convenient. Free shuttle bus to Vail Mountain and Vail Village. Well stocked condo with all the conveniences of home. Near free shuttle bus stop. We enjoyed our family's spring break vacation. There were some interesting quirks like plantation blinds blocking view and sound to the master bedroom (meaning we could hear EVERYTHING). But the kitchen was very nicely set up for family cooking and there was plenty of room for everyone to spread out. Great host: Condo is "Clean, comfortable, and Convenient"
Easy access to mountain and grocery store, comfortable, clean. Shelly is a very helpful host. Great place! Very clean and comfortable. Owner was accommodating. 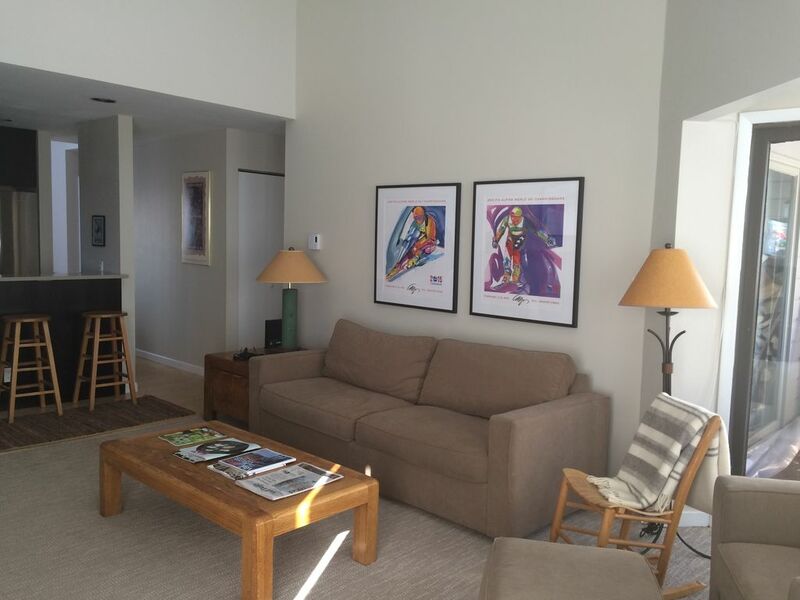 The condo is close to and easy to get the buses for transportation to ski slopes. Great location with a view of the slopes! The condo was clean and comfortable with nice neighbors. We had plenty of room at table for dining and in the living room. We really enjoyed our stay at Shelly’s condo in February. The condo is spacious and nicely redone. The Vail Village shuttle stop is right outside the front door. Additionally, it is convenient to drive to Vail Village. We would definitely stay here again in the future. Only a mile from the slopes if you want to drive and pay to park or you can catch the shuttle right outside! No smoking (even outside) and no pets.